Very cool trail system, lots of elevation changes, well maintained. We have a group of guys that are improving the trails weekly. Review: Ive tried riding these trails 3 times, but today I took plenty of time to navigate through and cut trees aways from the trail. I feel like this is a great place to ride, but needs alot of maintenance. I would love to get this place back in good shape. It is very rideable as is, but needs people riding. I encourage people to come out and try these trails, they are alot of fun. 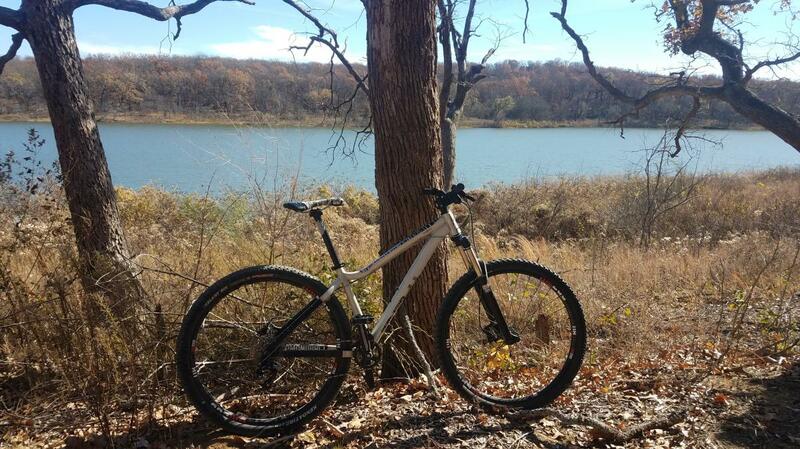 Review: Had alot of trouble finding the trail head and when I did, there were no markings or signs. The trails looked like fun if they would have been maintained. Looks like no one has rode these trails in a while. They may only be maintained through the spring and summer months, but I cant find anymore information. Review: Big elevation changes that didn't flow well and it's pretty short. One thing this trail has going for it is a couple decent jumps. Other than that it wasn't horrible, but I won't be returning. Review: Trails are well maintained right now, There are a couple of steep short downhill runs. The dirt is the back section give you great traction and dry fairly quick. Catfish Bay Trail MTB Trail 3.00 out of 5 based on 4 ratings. 4 user reviews.